Mr Clarke has kindly made available for the common good the judgment in the case of ParkingEye v Clarke. The judgment can be downloaded from here. This case was for one of The Range car parks in Barrow-in-Furness. Previously in other claims ParkingEye have produced contracts dated Feb 2013 for this car park. 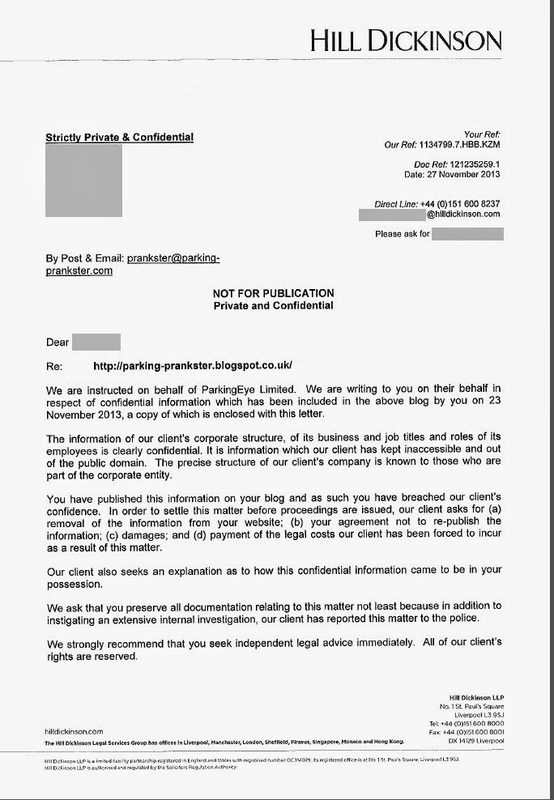 In this case, ParkingEye suddenly produced in court a contract dated November 2011. Although Mr Clarke was never allowed to view this, he did raise the date discrepancy with the judge. In any event, in this particular case the judge did not need to worry about this. Deputy District Judge Buckley ruled that the letter of authority which allowed ParkingEye to manage the car park did not allow them to take proceedings in their own name. He ruled that the 'commercial justification' arguement that ParkingEye used to justify their own profit was invalid because they could not show any financial loss due to the breach of contract; in fact they make a profit from the breach of contract. The judge referred to the situation as 'bizarre'. Whitehaven Harbour Commissioners enter the fray. Most incompetent legal department 2014? This post on pepipoo tells the sorry tale of Whitehaven Harbour Commissioners. WHC submitted multiple claims against multiple defendants, but failed to adhere to the Protection of Freedoms Act and the Civil Procedure Rules in almost all aspects. Only one Notice to Keeper was served. That was 7 months late and on the day that the court bundle was also served. A brief defence stating no cause of action was filed, but this was not accepted and the cases were allocated to the small claims track. A more detailed defence was filed outlining WHC's lack of, well, competence. All 5 defendants then received notices of discontinuance. WHC have with this master-stroke put themselves in contention for the most incompetent legal department of 2014, easily batting aside Excel and their spreadsheet worries, and are now vying for top spot with ParkingEye. This is January though, so there is still a long way to go. The Parking Prankster previously reported that UKCPS had issued some invalid POPLA codes. These ended with a letter 'P'. The Prankster has now learned that the BPA have requested UKCPS to cancel the parking charges where an invalid code was issued; these are all charges, and not just ones where the motorist complained. UKCPS have now changed their processes so this cannot happen in future. The Prankster congratulates the BPA Ltd and UKCPS for this sensible resolution to this issue. The Parking Prankster read about the following POPLA appeal involving Highview Parking. 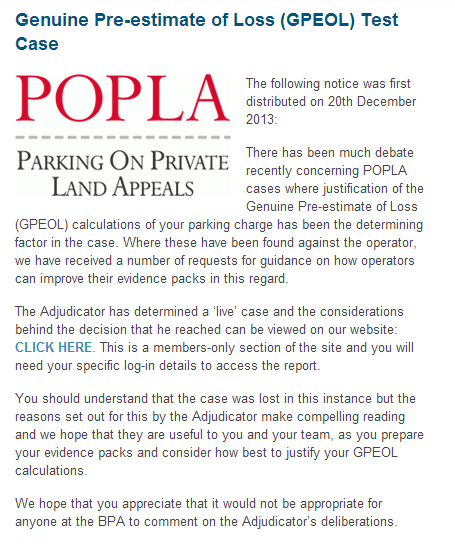 The motorist sent a brief appeal to POPLA stating their charges were unenforceable. Highview rejected his appeal stating that it was a template. (Highview forgot to mention their own Parking Charge notice was also a template). The motorist sent in a rather longer appeal to POPLA, but also stating that the charge was not a genuine pre-estimate of loss, and therefore unenforceable. Highview stated that this was another template and if POPLA upheld the appeal all of their charges would be unenforceable. "this is an entirely vexatious attempt to subvert the appeals process, and that [motorist] has no valid grounds for appeals. He has neglected to set out any genuine mitigation that have given us cause to reconsider this charge, and has instead resorted to sending a generic objection that would apply equally to all charges that we issue if it was given any credence in this case." Highview are of course correct. The appeal grounds do indeed apply to all their charges and in fact to all charges to all parking companies issued under the guise of breach of contract. It is impossible to run a business solely on monies from breach of contract, because this can only put you back in the position you were. it cannot be used to generate a profit and run a business. Both the DVLA and the BPA Ltd have currently stuck their fingers in their ears, chanting 'la la la' very loudly when anyone tries to point this out to them. The Prankster firmly believes that one day they will have to pull their fingers out and do something and confront the issue head-on. Meanwhile, Highview Parking seem to have learned only one thing over the year and a bit that POPLA has been in force - not to threaten that they will be spurred into immediate further action if their appeal is turned down. 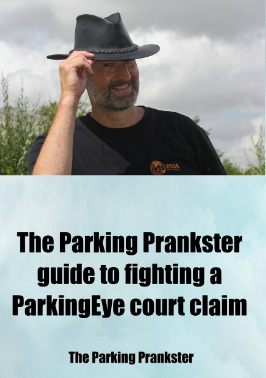 The 'Parking Prankster Guide to Fighting a ParkingEye Court Case' has had a copy returned to the Amazon bookstore. The Prankster has no idea why this is. No disgruntled customers have contacted him by email. Perhaps someone tried to sneak a free copy by downloading it, copying it, then returning it. The Prankster will never know as Amazon remain tight-lipped about that sort of thing. ParkingEye had a default judgement overturned against lainieee, as reported in this thread. Why ParkingEye were going after a disabled person in the first place is a question only they can answer. As the car park was the Range, Southampton and the date was 2013, only ParkingEye can also answer the question why they were pursuing a motorist when cases have shown ParkingEye have no standing to make a claim in their own name, and when the charge is not a genuine pre-estimate of loss to the landowner. In the hearing, helped by a representative from pepipoo, and which was not attended by ParkingEye, the judge set aside the judgement and granted all but one of the directions asked for. The case will now proceed to a re-hearing, unless ParkingEye decide that there is no prospect of success (perhaps because they have no contract with the landowner), or of course, unless the landowner themselves, The Range, decide to order ParkingEye to drop the charges. Lainieee, exhausted by the day, passed out with stress after getting home. The Parking Prankster wonders how much more stress ParkingEye and The Range intend putting her under? The Prankster has been given permission to report on the following case, which highlights several interesting points for those of you due in court in the near future. ParkingEye received their regular spanking, this time courtesy of EDW from pepipoo who was there to assist as lay representative. This was case 3JD02719, ParkingEye v Davison, Peterborough County Court, 17/1/2014. ParkingEye have lost every case where a lay representative has aided the defendant. The judge, DJ Mason, would not initially allow EDW to speak, misunderstanding the difference between a lay representative and McKenzie friend. This was elegantly got around by EDW who told Mr Davidson what to say, until the judge got fed up with the parrot act, and let EDW continue by himself when necessary. The Lay Representatives (Rights of Audience) Order 1999 makes it clear that a lay representative has rights of audience as long as their client attends the hearing. It is available here and well worth taking to any hearing. In the small claims court judges have wide discretion on how to act. They can relax the rules and allow behaviour which would not be normally tolerated...or they can be a sticker for the rules.This judge was one of the second kind! ParkingEye like to play fast and loose with the rules, and got caught out big-time by the judge. If you are going to court, you should make sure as far as possible you obey all the right protocols, and do not make the mistakes they did. The judge ruled that as ParkingEye were not bringing their witnesses to court (they never do) then in the interests of fairness, ParkingEye would not be allowed to question any witnesses themselves. This is an interesting ruling, and is well worth bringing to the notice of any judge if ParkingEye try the same at your hearing. The judge also ruled that precedents would not be accepted unless they were filed in full, and in advance. This is a very fair ruling. ParkingEye love to misquote cases and take small snippets of irrelevant text to use in their case. They never provide full transcripts in advance which leaves the defendant at a significant disadvantage because they are not able to show why the transcripts are not relevant, and of course, there is not time to read 30 transcripts (yes, really!) on the day. If you are fighting ParkingEye, make sure you request all transcripts immediately, and repeat your requests until you get them. If you do not, file all correspondence as evidence, then ask the judge to disregard all ParkingEye precedents. Similarly, you must provide your transcripts to the court. There are a large number on The Prankster website. The Prankster guide is funding more, and others are being donated. These will be made available as soon as possible. The case was won because ParkingEye filed two different signs as evidence showing two different charge levels - £90 and £100. This is a regular occurrence; The Prankster knows of 8 other cases where ParkingEye's blundering legal team have filed wrong signage information. In fact, The Prankster considers that close scrutiny of most ParkingEye cases would reveal either their map or their signage information would be inaccurate. This is therefore always well worth checking. The defendant raised that point in his defence prior to the hearing. ParkingEye replied, but only to the court and not to the defendant. The judge therefore ruled that this was not admissible, and since the defendant did not know which contract he was there to fight, the claim was dismissed. ParkingEye were refused leave to use any of the information supplied as part of the defendant's CPR R.18 request for information, as they did not file it with the court. The judge was also very critical of ParkingEye because their bundle did not have an index, page numbers or paragraph numbers. Do not make the same mistakes. File all information you want to use both with ParkingEye and the court. Make sure you have an index and that at least all pages are numbered. The judge also agreed that in any case the amount either of £90 or £100 was not right; a £5 fee for a 27 minute overstay was more in line with a genuine pre-estimate of loss. However, she did not rule on this point because this was not necessary. All in all, another excellent result for the motorist, and one in which some valuable lessons can be taken away. Why are ParkingEye giving incorrect financial information to the courts? ParkingEye are fond of stating the following as part of their claims to the courts. "The Average payment by motorists who have been issued with a Parking Charge by ParkingEye is circa £63. Circa 84% of this payment (circa £53) covers ParkingEye's costs. This information has been taken from ParkingEye's company accounts and are [stet] publicly available." The Prankster makes the reasonable assumption that this statement is referring to their 2011/12 accounts, which are the latest available. The number of requests made to the DVLA by ParkingEye during their 2011/12 accounting period was 629,181, and can be found from this freedom of information request. 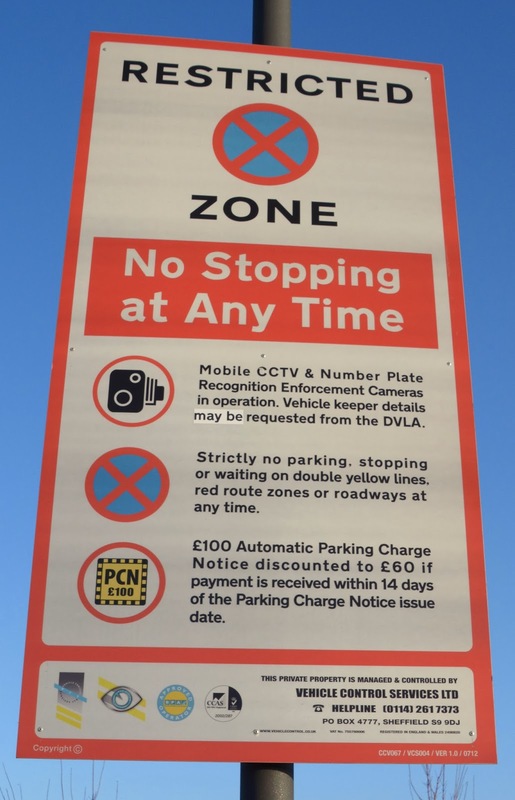 We can assume that most of these will result in a parking charge notice being issued - ParkingEye are not allowed to make requests to the DVLA unless they intend on issuing a parking charge notice. There will be some requests where this is not possible - a stolen vehicle for instance. The Prankster has spoken to other car park operators who feel that this would be a very small number, certainly less than 5%. Let us be generous and assume 5% of requests do not result in a parking charge notice. This leaves 597721 parking charges issued. 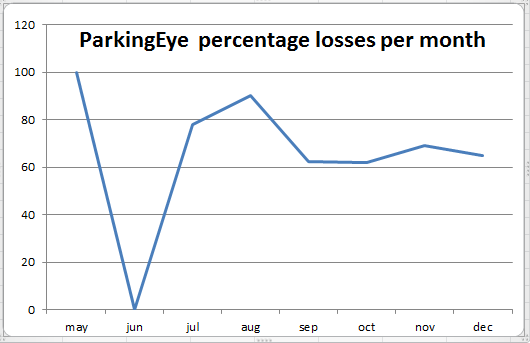 The entire cost of running ParkingEye's business in 2011/12, taken from their accounts, is £9.3 million. This means the maximum cost of issuing a charge is total cost / number of charges, or £9.3m / 597721 . 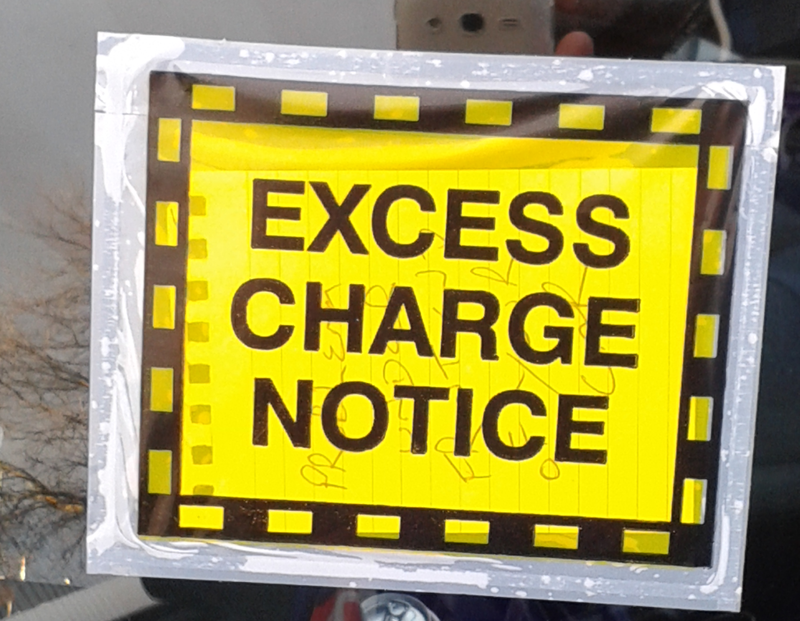 However, not all the cost of running a business is applicable to issuing parking charges. Therefore the true cost of issuing a charge is less - possibly a lot less. Here is a snapshot from ParkingEye's web site showing they provide other services apart from enforcement. None of the costs involved with the provision of these services can be attributable to enforcement costs. Thus, ParkingEye will need to apportion the costs of ANPR, communications, servers, and the like. As the number of enforcement incidents is far less than the total number of motorists, the apportionment will need to take this into account, and the true costs of enforcement will only be a tiny fraction of the whole. The Parking Prankster has previously published a list of job titles of ParkingEye employees (currently redacted)*. The list showed that large numbers of employees have nothing to do with enforcement. Salaries of these employees cannot be counted against enforcement costs, and similarly other costs such as building rent and insurance, if not counted as normal running costs, must also be apportioned. Taking all this into consideration, it is likely that the true cost of issuing a parking charge notice is more like £5 to £10. The Prankster wonders why ParkingEye continue to send this apparently false figure of £53 to the courts. The Prankster also wonders why in some court cases the figure magically changes to £55. *The Prankster is currently in dialog with ParkingEye regarding the unredaction of the list of employees, in the public interest. 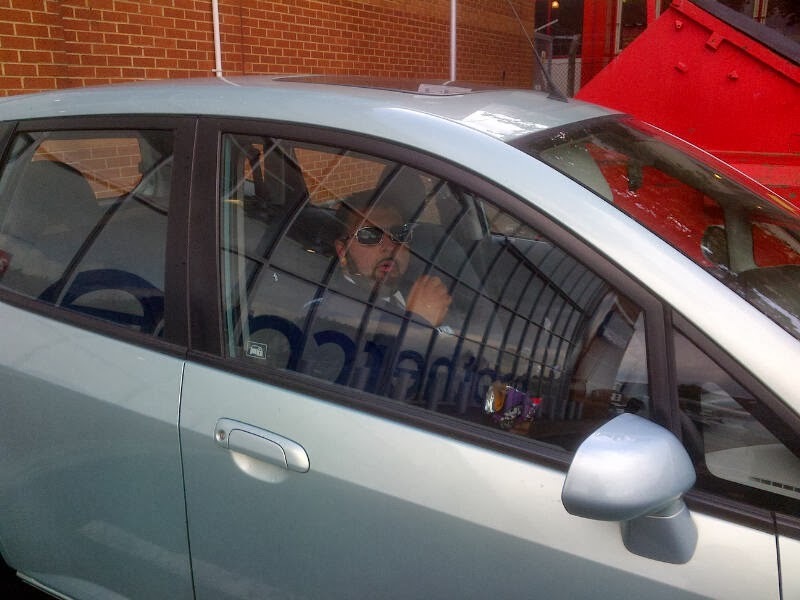 The Parking Prankster has been donated the full transcript of ParkingEye v Lemon and Harris which is now available for those fighting ParkingEye court cases. The Prankster thinks this is required reading. It shows how to behave in court; how to be prepared; how to answer questions and how to stick up for yourself when the ParkingEye lawyer makes factually incorrect statements. The two defendants did a superb job and if they did make a few errors then that is no more than The Prankster has himself done on occasion and provides lessons from which everyone can learn. If you are in a court case with ParkingEye then they will quote various cases they won. You should request copies of these transcripts (give them 14 days, then badger them every 7 days after that). When you read these you will be able to appreciate the difference between being well prepared and fighting a great case in court, and being unprepared, using the wrong legal reasons to fight a case, and not coming prepared with the right evidence. The case gets going (page 5) with the LPC Lawyer, Mr Beeby producing a previously unseen contract like a rabbit out of a hat. This was a schoolboy error for which he has no doubt been reprimanded by Chorley Towers. The whole point of the Landowner witness statement is to prevent the contract getting in front of the judge. The judge noticed that the contract was dated after the parking event and it all went downhill from there. Chorley Towers have stopped giving their LPC Law representatives a copy of the contract, presumably to stop them making this error. You should therefore go to court armed with a list of cases where ParkingEye's landowner witness statement has been found by judges to be factually untrue. If ParkingEye do not produce the contract then ask for the case to be dismissed based on their past record. If the judge choses to adjourn instead you can now point out that judges have adjourned at least 3 cases to allow ParkingEye to come up with a properly dated contract and in none of them have ParkingEye come up with the goods. If the contract is not dated properly then it should be game over. Otherwise, ParkingEye v Sharma and ParkingEye v Gardam will apply, and a close scrutiny of the contract should show ParkingEye do not have the right to pursue the claim in their own name. Take a copy of their standard contact with you in case they chose to redact the contract as they have done in the past. The judge then hears the rest of Mr Beeby's case. After that the judge hears the defendant's evidence. Mrs Lemon correctly points out that the landowner witness statement contains untruths in regards to signage but could have perhaps at the start of the hearing explained that she did not accept either of ParkingEye's witness statements because they contained large numbers of errors, that this was a regular occurrence on the part of ParkingEye and an abuse of the court process because they never show up at court for questioning. ParkingEye always trot out the template phrase that their signage is 'clear and ample' but this is essentially meaningless. They make these statements not from personal observation at the site, but from inaccurate maps and photographs stored on computers back at Chorley Towers. In the past they have send in pictures of the wrong car park to the court, signs they said were there in winter when the photographs showed people wearing summer clothing and signs with wrong values. They cannot therefore be trusted and their past performance can be highlighted to judges if you disagree with their evidence. Mrs Lemon does an excellent job of explaining how the signage is deficient, using photographic evidence to back up her point. In the end the judge rules against her on this point but signage is always slightly subjective and so with another judge on another day this could have gone the other way. She also makes the point that, (as usual), the ParkingEye witness statements are not really statements of truth. To improve the evidence The Prankster has a couple of suggestions. You can take in a video showing the vehicle's path from entry to parking. If this clearly shows a lack of visible signs then this will be very beneficial. You can also use Google maps to create an aerial view of the site, highlighting the vehicle path and also showing the entrapment zones that are so common in ParkingEye car parks. Mrs Lemon does score a point with the signage contents. If there is any ambiguity then this should be resolved in the favour of the consumer, and that is what the judge does here. Mrs Lemon also points out that, as usual, Jonathan Langham was economical with the truth and his description of the sign wording is untrue. Mrs Lemon and Miss Harris deal well with the standard questions LPC Law are always instructed to ask. You should prepare you own answers to these questions. Mrs Lemon then brings up the subject of ParkingEye charges. She makes several excellent points, but again the judge finally rules against her. 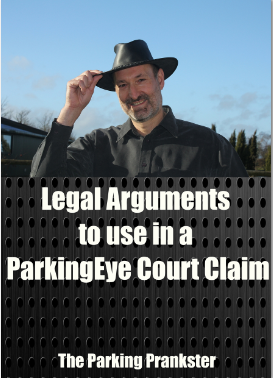 To strengthen the arguments, The Prankster recommends pointing out that in ParkingEye v Heggie, Clarke and Pearce the judge correctly considers the loss to the landowner, not to ParkingEye. The Prankster also recommends pointing out that ParkingEye use untrue figures. They quote a cost per ticket issued of £53 (or sometimes £55) per ticket issued. However, the DVLA have released figures showing ParkingEye issued over 500,000 tickets in 2011/12 and ParkingEye's 2011/12 accounts show costs to the whole business were £9.3 million. This gives a true maximum average cost per ticket of £18.60. However, not all costs will be allowable as a pre-estimate of loss, so the true figure will be much lower; say £9-£10. The Prankster recommends pointing out that the BPA code of practice requires any charge for breach of contract is a true pre-estimate of loss; the landowner contract (if in force) requires ParkingEye to keep to the code of practice, as does the landowner witness statement, and therefore ParkingEye's argument of 'commercial justification is not valid. There are a large number of other untruths and misleading statements in ParkingEye's justification of charge document. Feel free to download the evidence to rebut these from The Prankster's web site, but the judge may lose the will to live if you point them all out. Finally, ParkingEye's charges have been disallowed every time by POPLA on pre-estimate of loss grounds, so you could round off by giving the judge the list of known POPLA losses together with a few sample judgements. Lastly, remember that when you win it will be best if you hand the judge a schedule of costs to reclaim your lost earnings. Congratulations once more to Mrs Lemon and Miss Harris. 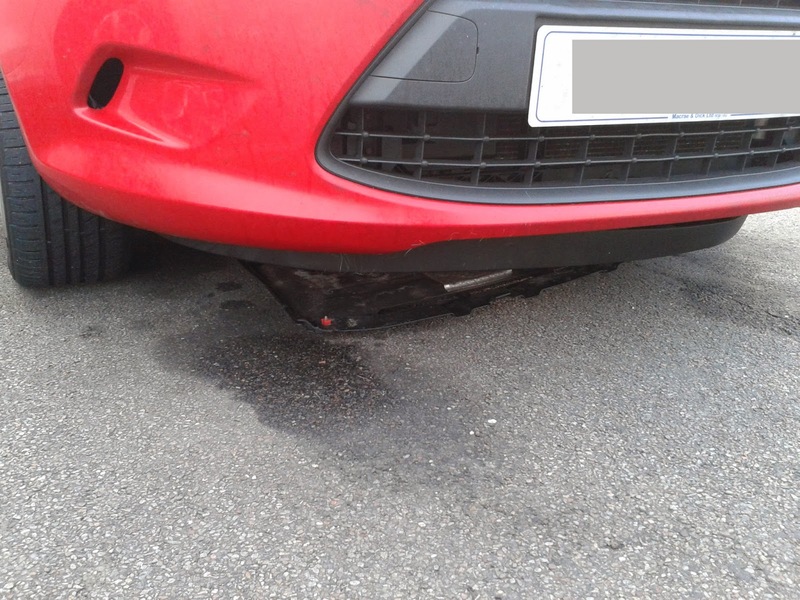 The Parking Prankster's attention was pointed to this post on moneysavingexpert. 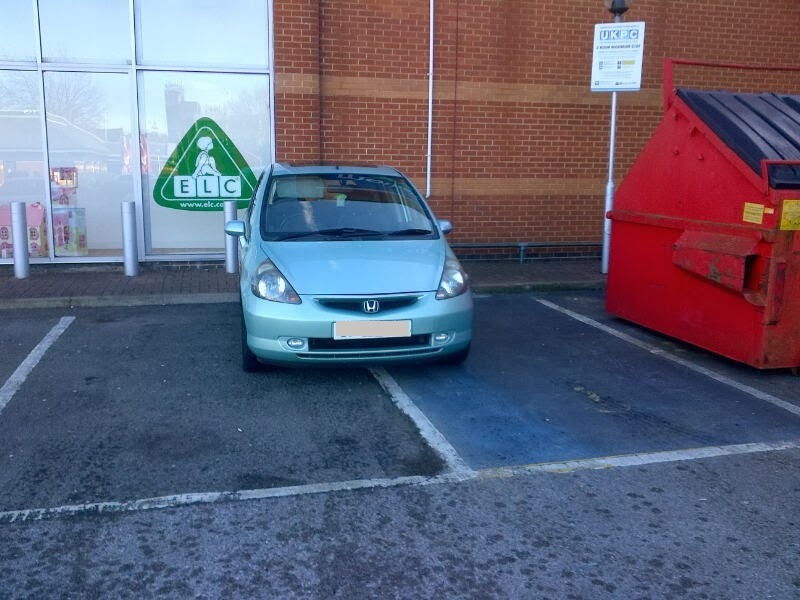 The British Parking Association Limited have issued the following guidelines to all members. The Prankster welcomes this move by the BPA Ltd; he hopes their bite is as good as their bark, and that these code breaches will be strictly enforced from now on. Operators have had over a year to get used to the new regime and slippery attempts to avoid POPLA simply cannot be allowed to continue. The sales of The Prankster guide have now been able to fund the first court transcript, which will be made freely available as soon as it has been received by The Prankster. The current status is: the court sent the wrong tape to the transcript company. Oops! Hopefully this can be sorted out in the near future! Meanwhile, for a brief moment in time, the guide hit the number #1 spot on Amazon for its category, even outselling J K Rowling*. The Prankster's grandmother was suitably impressed and phoned all her friends to tell them. Unfortunately the book has now been knocked off its giddy heights by Gordon Anthony's 'Textbook on Administrative Law'. * Mainly because she has no books in that category. J K Rowling outsells The Prankster in all other categories. 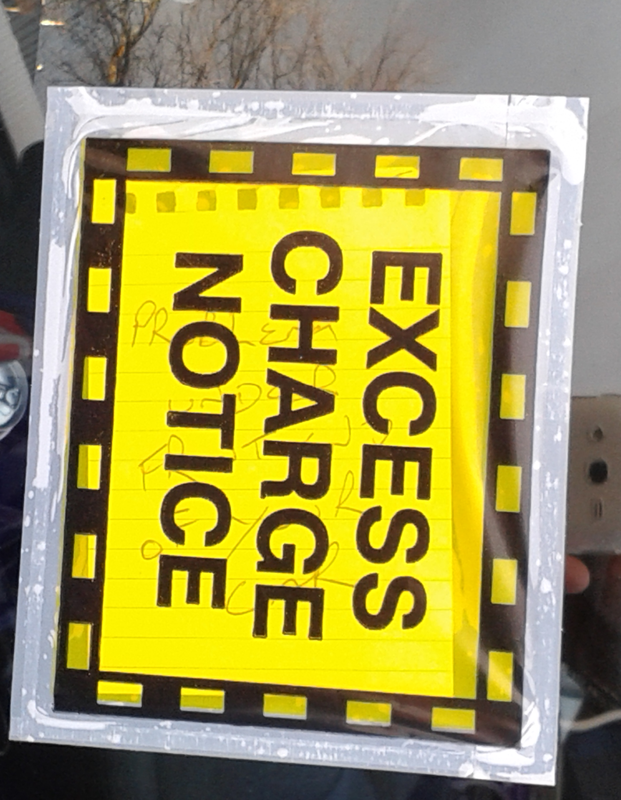 The Parking Prankster tips his hat at the parking warden who left this PCN on the side window of a car he spotted. Now, at first glance, you might be wondering why the motorist will be more than happy to get this notice. The reason becomes clear when you peek under the car. Something is not right! Inside the notice you can just make out the warning; 'problem under front of your car.' Hopefully the driver will spot it and fix the problem before moving off. This wasn't Geoffrey, by the way - The Prankster does not know the identity of the public spirited warden who did this. The Prankster has seen new freedom of information figures showing an increase in the number of court cases filed by ParkingEye, followed by a dramatic drop off. The figure of 1844 cases filed in a week is a new record for ParkingEye, easily beating their old record of 1074. Exhausted by their efforts they then appeared to take a few weeks off, only filing cases in one week of the next six. 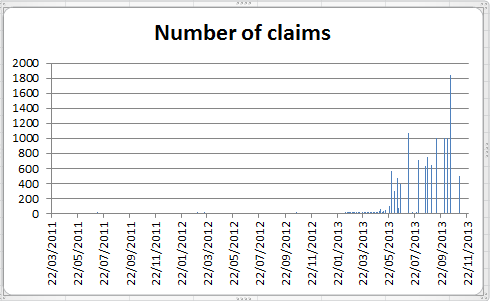 The figure of no cases filed for three weeks is also a new ParkingEye record. 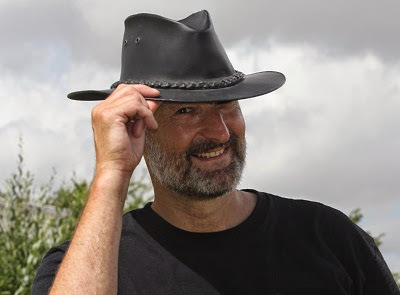 The Prankster will continue to monitor the situation to see if this is a true change of direction for ParkingEye or whether they just took an early Christmas break and will be back filing regularly in the New Year. The ParkingCowboy web site now has a useful POPLA code checker which can be used to validate your POPLA code and to find out when it expires. The site also advises you if the parking company tried to pull a fast one and created the code on a different date to the date they sent it out. If you don't have a POPLA code to hand, here is a valid one to try out. Simply email in a copy of your dated rejection letter containing the POPLA code and point out that the parking company is sending you POPLA codes which are not valid for the required 28 days. The British Parking Association Limited do not pro-actively monitor parking company letters and so are reliant on motorists to report transgression like this. They always look forward to new ways of driving up parking standards and so such information is especially welcome. Parking companies have had over a year to get used to the new regime so any behaviour like this can only be described as an attempt to cheat the motorist out of the appeal time they are legitimately allowed.